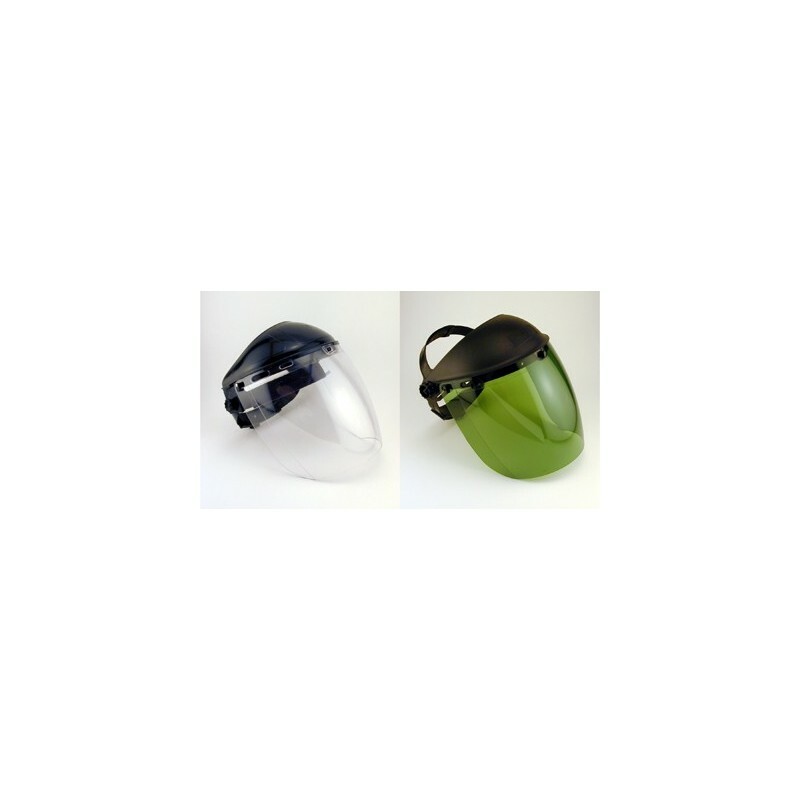 The SAF-T-CURETM DELUXE FULL FACE SHIELD (UV FILTER MASK) provide all the protection and comfort of our Standard Face Shield, but with more facial coverage and a contoured fit. 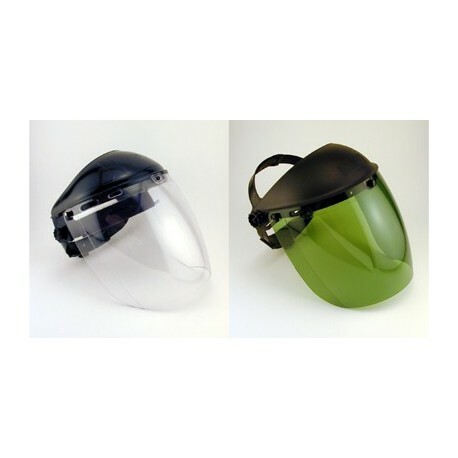 Full face protection from exposure to UV light and from accidental splashes of harmful liquids. The lightweight unit includes a dual-strap, ratchet-adjustable headpiece and ergonomic face shield for a comfortable fit. Lens dimensions are bigger and bolder than the Standard Face Shields at 8" x 15.5" x .06". Meets ANSI Z87.1 standards. Replacement injection-molded polycarbonate lenses are also sold.